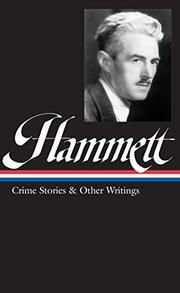 The father of hard-boiled detective fiction, whose five novels got the Library of America treatment in 1999, now returns in two dozen stories and three related items: the early version of The Thin Man, first published in Nightmare Town (2000); a series of 29 one-sentence vignettes from his days as a Pinkerton detective; and 24 brief suggestions for writers of detective fiction. The good news is the careful editing of texts—editor Marcus has gone back to the Continenal Op’s original pulp appearances and restored dozens of passages cut or revised for earlier book publication. The bad news is that, in accord with Library of America protocol, no explanation is given as to how the contents were selected, or why (copyright reasons?) all of Sam Spade’s short encores were passed over. An invaluable collection, then, but not the definitive volume it might have been.